This could quite possibly be the shortest post on my blog ever - there is only a limited amount you can say about strips that are designed to rip out any blockages from the pores in your face I suppose. So today, and for the first time ever I’m going to don a Montagne Jeunesse Charcoal & Volcanic Ash Unclog Pore Strips. I confess that I only tried these after seeing the packet in my box of things to try, taking a look in the mirror and thinking yeah, there are a few blocked pores there that could be on the verge of getting unsightly - I do after all spend two hours every day trapped on London Underground with the grime and pollution. At 90 pence, yes 90 pence for a pack of three strips from Primark these aren’t exactly going to break the bank, and if they didn’t work it wasn’t as though much cash had been laid out on them. After rinsing my face and leave it wet I removed one of the strips, ripped off the protective plastic and slapped the strip onto my nose. Applying pressure for about a minute and it stuck like glue, and I really do mean, like glue. There was no way this was falling off or showed any signs of peeling away from the skin. After around two minutes it started to get a bit warm, nothing uncomfortable just slightly weird as I hadn’t expected that to happen. 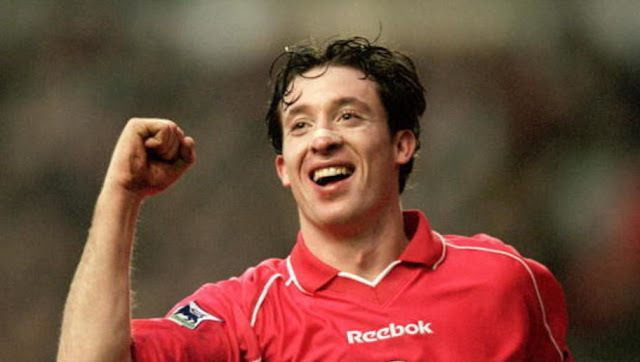 Now, with ten minutes to kill until I could rip it off like a crusty old plaster I went to take a look in the mirror where I was immediately hit with two thoughts which seemed to come at the same time - the first was a flashback to the mighty Robbie Fowler in his Liverpool glory days (see picture below) and the second was a mild worry that as my nose is so massive if this was great it might leave a stripe where blocked pores remained. To say I was curious about the results was a understatement and then came the moment of truth…. With it’s adhesive nature in mind I was surprised how easily it peeled off and the fact that it was entirely painless. But, did it unblock my pores, draw out dirt and grime while removing any dead skin? Yes, yes it did. After rinsing off my face my nose was noticeably smoother to the touch, where there were blocked pores before there were none now and generally I have nothing but praise for these unblocking pore strips. These won’t break the bank, they work and work well - with that in mind, my advice is give them a try. hmmm the brand name doesn't exactly trip off the tongue does it? But if they work then fair enough. just hope you aren't tempted to hit someone in nightclub toilets in Fowler mode. allegedly of course, am sure it wasn't true if his lawyers are reading. 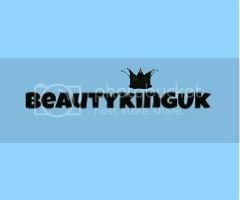 I love this brand, I've had lots of face masks by them in the past, didn't know they did mens products too! Great price! I love the bore charcoal strips but might tight this more budget friendly brand. I totally need to give these a go! Bonus points for the Robbie Fowler reference, they always make me think of him too! There is also only so much you can comment on these blocked pore strips!! Pain free and only 90p!? Really glad it worked, can't get any better than that! I like the sound of these. Easier than doing a whole facepack. Briiliant results and all for 90p - bargain! I love these sorts of strips! I'm always rather horrified at what comes out of my skin, though. wow that's really good to hear they worked so well for you. I didn't even think such strips existed for men. Good find. Wow bargain, will have to try these! Hi Charly, after doing my nose I really felt like my entire face needed doing it removed that much gunk! They seem great and they are very cheap. I had no idea there are ones for men, I'll tell my husband about them. I can't believe they go for 99p each. That is so affordable. Sounds great. Hi Stella, they are actually 99p for 3, so even cheaper!